Sometimes, while waiting for my daughter to finish her classes, I'd alternate between the different coffee shops nearby. 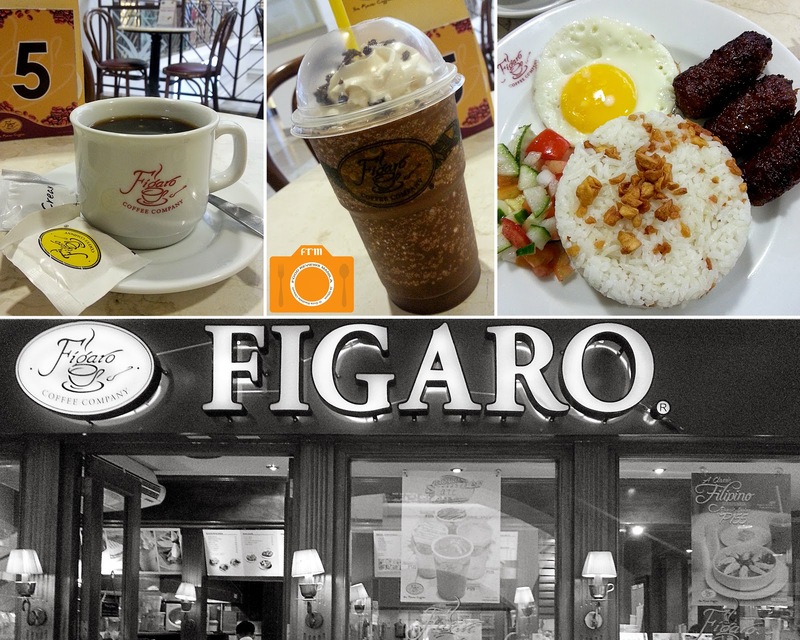 Running a couple of errands in the mall got me famished, and this time I chose to while away my time at Figaro Coffee. Pork Longganisa is my dish of choice the few times I'm there. That or their Tuna and Cheese Sandwich, depending on my mood and the size of my appetite. Sweet, with a lot of fat, this trio of sebaceous porcine meat sits teasingly beside a fried egg with a bright yellow yolk. I shouldn't be eating this, I thought, but then again, what the heck. I hanker for its simple savory sweetness, and really, I'm tired from all that walking, and had no energy to eat something "healthy". This dish already comes with a cup of brewed coffee (one of their all-day breakfast meals), but I'm in the mood for something cold, and so I order their Mocha Figaro Frost. It's good---the usual mocha---gladly not drowning in watery consistency. I finish everything in ten minutes, but my feet aren't ready to work just yet. So I stir in some sugar and cream, and down my brewed coffee much more leisurely.